Running for premature babies 2017 run: Sophie's story. The pain of losing three sons and your husband. Just last week, Sophie Smith found herself in the neonatal unit of the Royal Women’s Hospital. It wasn’t the first time she’d been there – her three sons Henry, Jasper and Evan spent much of their lives between its four walls – but this visit wasn’t plagued with the memory of her three lost boys. This visit was about life, not death. “Last week, I went into the unit and I saw the equipment that wouldn’t be there if it wasn’t for us. I met the smallest baby I had ever seen, he was about 450 grams and I had never seen such a small baby alive. That little baby is alive today because of our equipment,” Sophie tells Mamamia. Of course, that little baby isn’t the only one alive because of Sophie’s tireless efforts. There are no doubt hundreds of little kids running around today that entered the world far sooner than their tiny bodies could handle. These kids running, living, being because of the neonatal equipment Sophie’s family was able to give the hospital. But before she could work on saving the lives of many, Sophie had to lose her own precious boys first. In 2006, she and her husband Ash were impatiently awaiting the arrival of triplets. They were to become first-time parents. By her own admission, anticipating their new lives was “an incredible experience”. “All I remember thinking was that I had four hearts beating inside of me at the one time and I thought it was amazing. We thought we were the luckiest people in the world,” she says. And then, at 21 weeks – and 19 weeks before the babies were due – Sophie’s waters broke for the first time. That point would mark the beginning of an 82-day journey enveloped by life and death, of tears and hope. Henry entered the world first, gave a small cry and lay on Sophie’s chest for a precious hour before he passed away. Henry’s brothers didn’t follow him that day, patiently waiting for their own turn to meet the two parents that had wanted them so. "Jasper loved his dad to put his hand on his head to comfort him when he was upset." Image supplied. That moment came at 24 weeks, when Jasper and Evan were born by emergency caesarean, weighing less than a kilo each, but the first few days were promising. "There was 82 days between when my waters first broke until the day the day Jasper died. It was a long journey through their lives but there was so much joy. We lost our boys one by one over that time. "We held out so much hope for them all. As we lost them one by one, we continued to hold out hope for the others." At 10 days old, Evan passed away. Forty-eight days later, tiny Jasper followed his two brothers. Sophie and Ash were left with shattered hearts, an empty house and a future that looked far different from the one they&apos;d envisaged. But they weren&apos;t ones to dwell and fall in a heap of broken dreams. Left: " A sad photo but the only photo I have of me with Evan. It’s the only time I ever held him." Right: "Ash&apos;s first cuddle with Jasper on fathers day at 3 weeks old." "When we were in the hospital we realised a lot of the equipment the babies were using was equipment that had been donated. Hospitals relied on fundraisers for the top-of-the-range life-saving equipment. "We also noticed that the machines often needed upgrading, so Ash suggested we run the Sydney Morning Herald half-marathon to try and raise $20,000 that would be enough for one new machine," she says. Six months later, Sophie and Ash had rallied 98 runners and raised $80,000 for the hospital. "I remember looking around during the run at all the shirts we had printed with the boy&apos;s names and their life-sized hands on our backs. I told everyone when the going got tough they had three sets of handprints on their backs pushing them along. I felt so proud of my babies on that day that had inspired so many people." Three years after Ash and Sophie lost their three boys, another son - Owen - came along. Two years after that, it was Harvey&apos;s turn to enter the world. Their late brothers are "very much a part of their lives". Sophie, Ash, Owen and Harvey. But because tragedy, loss and grief can compound without discrimination, in 2016 - nearly 10 years after their boys passed - Sophie lost her partner Ash, too. An aggressive brain cancer had made itself known, eventually claiming his life. 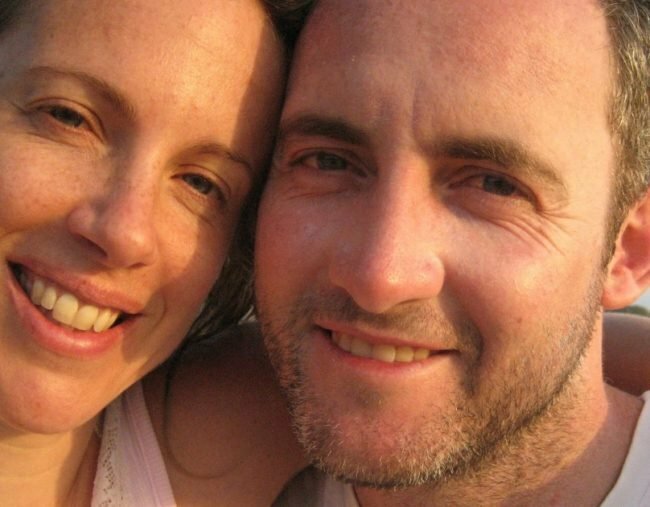 He was "so amazing and positive and happy", Sophie says, despite invasive treatments and surgeries. "When Ash was very sick [at the end of 2015] we made our goal for May 2016 to find 500 runners to run the SMH half marathon. It was to celebrate the boys&apos; 10th birthday, and then we would take a group to New York to run the marathon there. "This photo is of Ash in ICU. You’d never know he&apos;d just had two brain surgeries, followed by hydrocephalus and meningitis, and spent two weeks in ICU with a drain in his brain. Nothing was a big deal to Ash, and he never let his disease get him down. I miss him." "When he died in February I knew straight away that I really wanted to to achieve the goals that we had set. Even more important to me was to celebrate their birthday and run in honour of Ash. I wanted to show [Owen and Harvey] when your heart broken and the worst things happen you can pick yourself up and you can keep going." Two months after Ash died, Sophie again ran the half marathon and smashed her personal best by three minutes. She managed to rally 500 runners and raise more than $2 million. Sophie Smith is a woman who doesn&apos;t wallow in grief. Next Sunday, she will take to the road once again, to run in honour of her three babies, and now, her late husband. But she won&apos;t be going at it alone; eight-year-old Owen will be running with her. And if he&apos;s anything like his mum, strength and endurance will come in spades. If you would like to join Sophie Smith and Running for Premature babies in the SMH half-marathon, they&apos;re still looking for runners. You can sign up here and click &apos;Join Team&apos;. If you&apos;d like to donate, you can do that here.